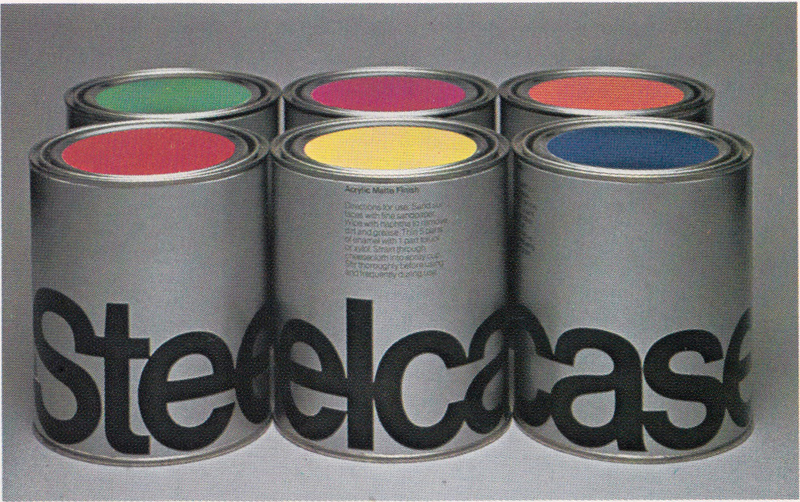 For while now, I’d been on the lookout for a color photo of these Steelcase paint cans by Vance Jonson (and also credited to Lancey Saunders.) Finally found one in a 1977 issue of Communication Arts magazine. This corporate paint line is limited to Steelcase products only and is not for retail consumption. The primary communication requirement, therefore, was for easy color identification. 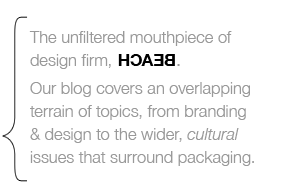 This was achieved by affixing large color swatches to the lids (the variable factor) while subduing the label itself (the constant factor). 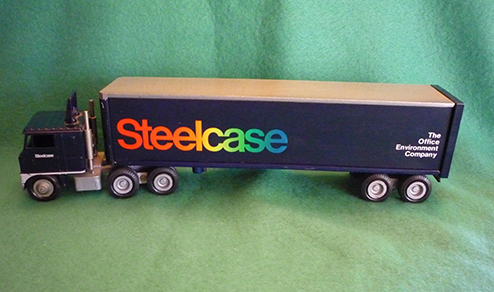 Curiously, there have also been licensed toy Steelcase trucks (manufactured by ERTL, Winross and others) that seem pretty close to Jonson’s original model truck mock-up. 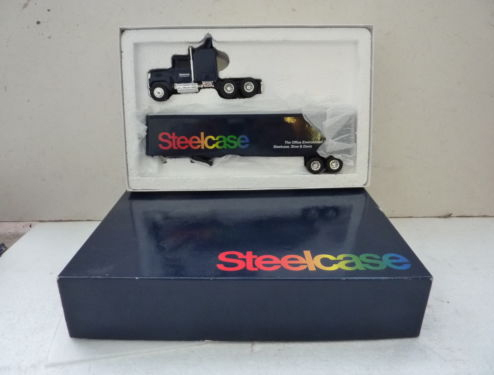 These toy Steelcase trucks can sometimes be found on eBay, and (in rare cases) with their original packaging.